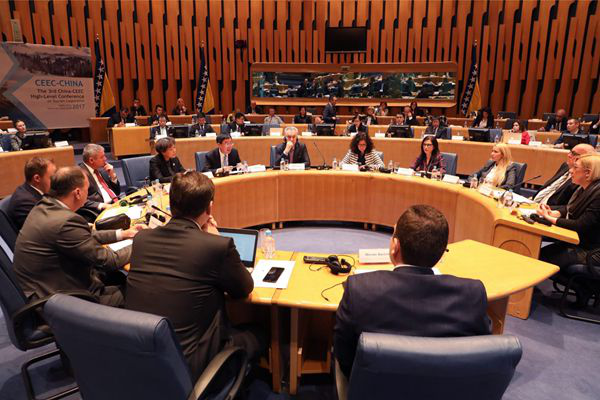 On November 24, the Third High-Level Conference on Tourism Cooperation of China and Countries of Central and Eastern Europe (CEEC) was held in the capital of BiH. 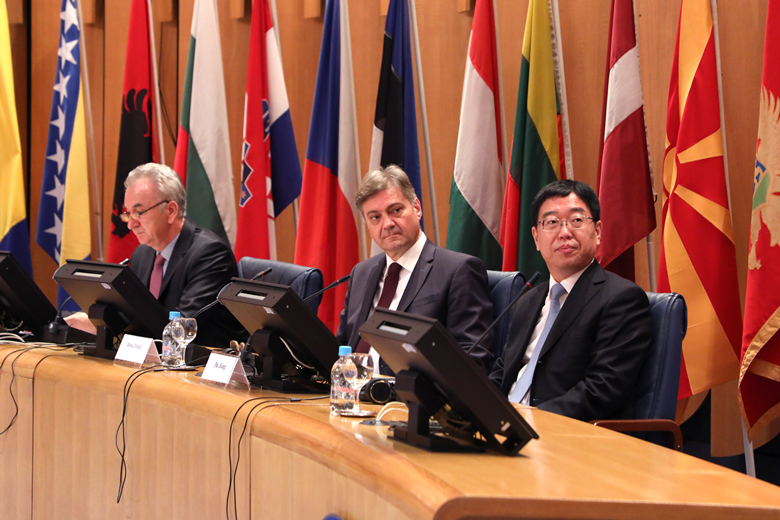 Chairman of the Council of Ministers of BiH Denis Zvizdić, Deputy Chairman of the Council of Ministers and Minister of Foreign Trade and Economic Relations Mirko Šarović and Deputy Minister of the China National Tourism Administration Du Jiang attended the opening and addressed the participants. 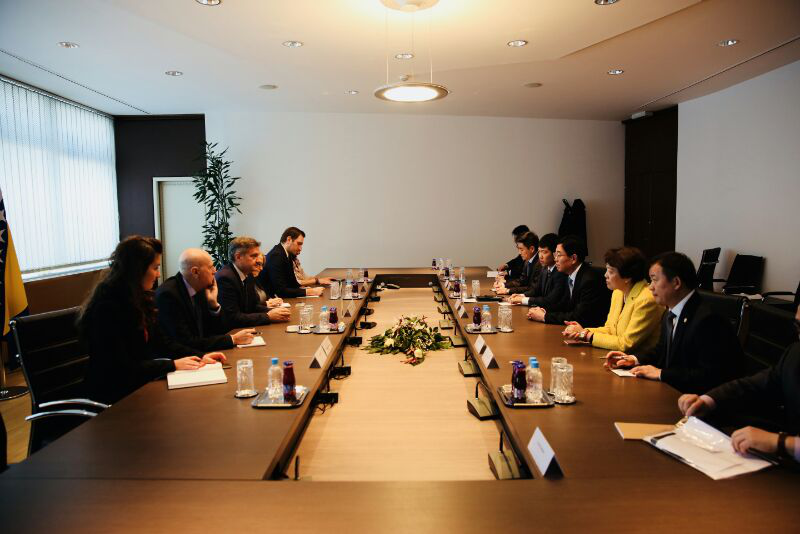 Denis Zvizdić and Mirko Šarović stated in their address that tourism exchanges between China and CEEC has been growing steadily in the past years. The CEEC have become a new popular destination for tourists from China. Establishment of a 16+1 Coordination Centre for Tourism and Association of Agencies and Enterprises for Promotion of Tourism fully reflects the good will to deepen the exchanges and step up cooperation. The CEEC will work on studying China’s tourism market and introducing more active policies on visas, transport and infrastructure building, in order to meet the needs of Chinese tourists. The session voiced hope that the participants would work on increasing the exchange, reaching a consensus and deepening the cooperation. 4. work on training and exchange of personnel in the field of tourism. Deputy Chairman of the Council of Ministers and Minister of Foreign Trade and Economic Relations, Deputy Minister of Tourism of the Republic of Bulgaria, Deputy Minister of Economy of the Republic of Lithuania, Deputy Minister of Tourism of Romania, State Secretary in the Ministry of Tourism of the Republic of Croatia, State Secretary in the Ministry of Tourism of Montenegro, State Secretary in the Ministry of Trade, Tourism and Telecommunications in the Republic of Serbia, Ministerial Commissioner in the Ministry of Foreign Trade and Foreign Affairs of Hungary and Manager of the Coordination Center for Tourism 16+1 presented cooperation with China in the field of tourism in the 16+1 framework, as well as future plans. The Conference adopted “A Joint Declaration of the Third High-Level Conference on Tourism Cooperation between China and Central and Eastern European Countries”. Representative of the Academy for Tourism of China took part in the panel discussion, and representatives of ten Chinese tour-operators attended the B2B session. 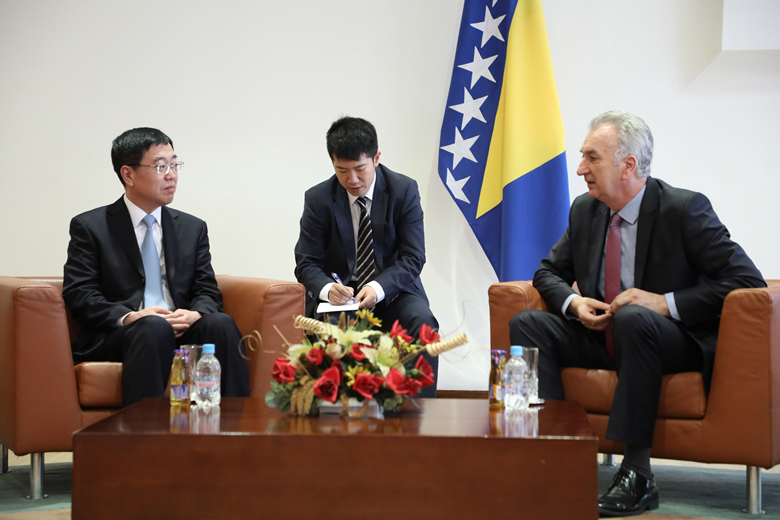 Zvizdić and Šarović had separate meetings with Deputy Minister Du Jiang. 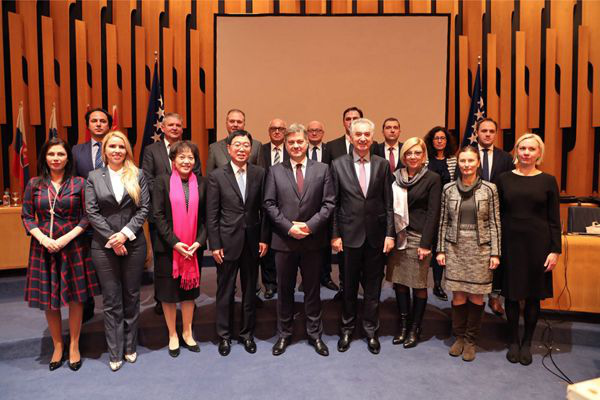 Ambassador of China to BiH Chen Bo attended the above activities.